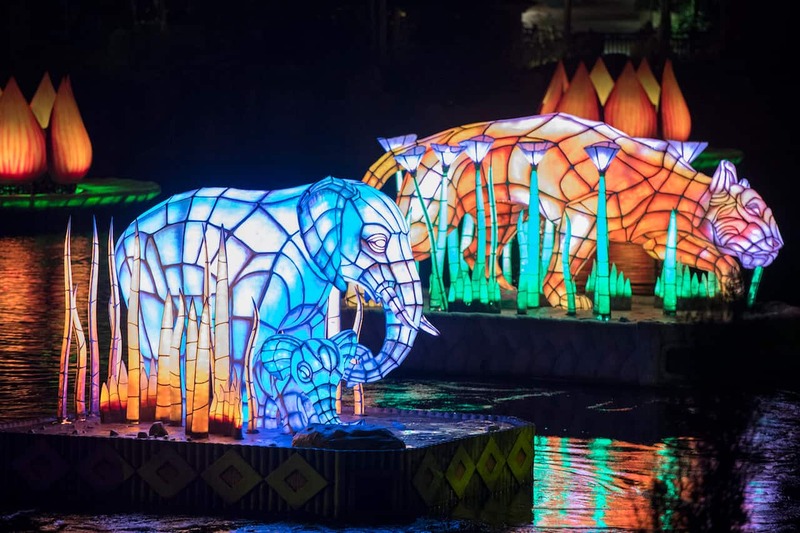 Earlier this week, we shared a look at the theming and details you don’t want to miss inside the Discovery River Amphitheater when “Rivers of Light” debuts this Friday, February 17. Today we’re back with an in-depth look at the four Animal Spirit Guides you’ll see in the show. Watch for them carefully as soon as you are seated inside the Discovery River Amphitheater, as the Animal Spirit Guides are introduced before the show even begins. You may hear them in the distance or spot their shadows moving across the tree canopy on the opposite riverbank. As the show begins, our mystical storytellers, Aseema and Aditya, set out on their vessels to bring the gift of light to the river. They tell their stories on their respective sails using intricate Balinese shadow puppets of each of the four creatures. 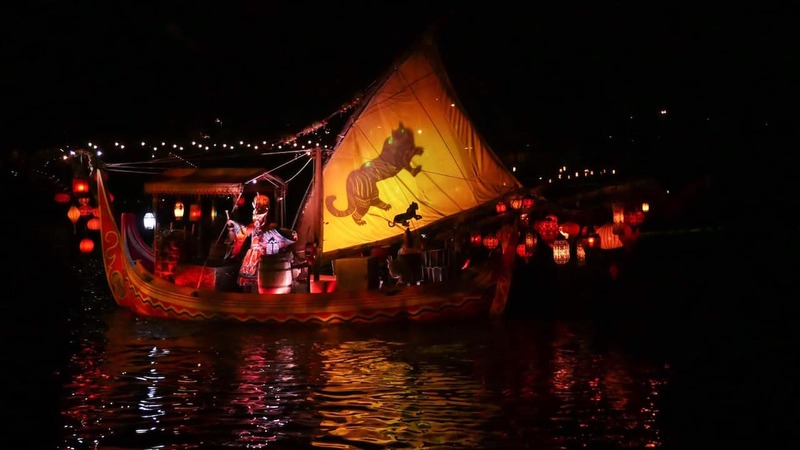 The Animal Spirit Guides are then brought forth in the form of four, larger-than-life Asian-inspired lantern floats. As they make their way across Discovery River, each animal springs to life and travels across the river’s towering water curtains. The Animal Spirit Guides then lead us through a visual celebration of earthly and ethereal animal realms – Asian jungles, African savannahs, tropical oceans, North American mountains – ending in the amazing Aurora Borealis (known in some cultures as the sky’s “Rivers of Light”). 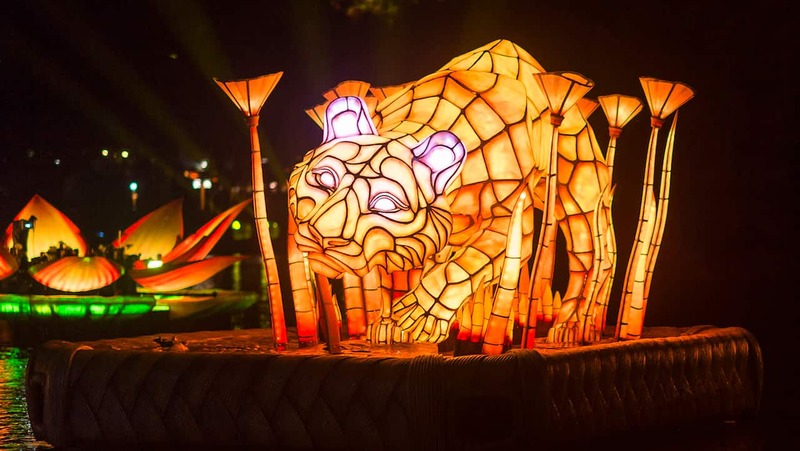 Want to see “Rivers of Light” in person? The show is included in theme park admission. Check dates and times – or make FastPass+ reservations – on the My Disney Experience app; access the standby seating (open to any guest); or consider booking a dining package, which includes reserved seating. Is there narration associated with the show? If so, are there provisions for those with hearing issues or non-English speaking guests to follow-along?